Unloading the truck on the border of the Citico Creek Wilderness, I wrestle on my pack full of a weekend’s worth of supplies—including my old crosscut saw. As I walk through a smoke cloud of bacon grease smoldering off the neighboring hunting camp’s stove, I threw up a friendly wave. A few respond, but from behind the campfire, someone grumbles, “You probably ain’t even from around here, Ranger Boy.” After a few seasons as a Wilderness Ranger, your gut tells you when to stop or keep moving, and though his words weren’t the most welcoming, something said differently. “Matter of fact, you got a second?” I replied. The old man kept his feet propped up by the campfire while he motioned me in. “Turns out, I’m fifth generation Monroe County.” He perked up, so I began to share with him the history of my family and our ties to the land we were standing on. My great grandfather and his brother worked for Babcock Lumber Company in Tellico Plains, Tennessee, after its establishment in 1906. Eventually, his two sons, my great uncles, would also become lumberjacks. Their work was spread throughout the Tellico Plains area, but more specifically, it was focused in the Bald River and later in the Citico Creek watershed in the 1920’s—right where they were camping. In 1925, Babcock sold 44,000 acres to the United States Forest Service, forming a portion of the Cherokee National Forest. My great grandfather’s focus then began to shift. He would later work for the Civilian Conservation Corps rehabilitating the land. They planted trees, built campsites, trails, and fire towers in the mid 1930’s. The first C.C.C. camp in Tennessee was later restored and is now the Tellico Ranger Station-the same place I work out of today. Turns out he and Norman (my grandfather) and Norman’s brother Cub were pals from way back. I sat down with the 10 of them and talked for no minute short of an hour. We chatted about everything from traditional crosscut saw techniques to ironing out misguided rumors following the Tennessee Wilderness Act (TWA). 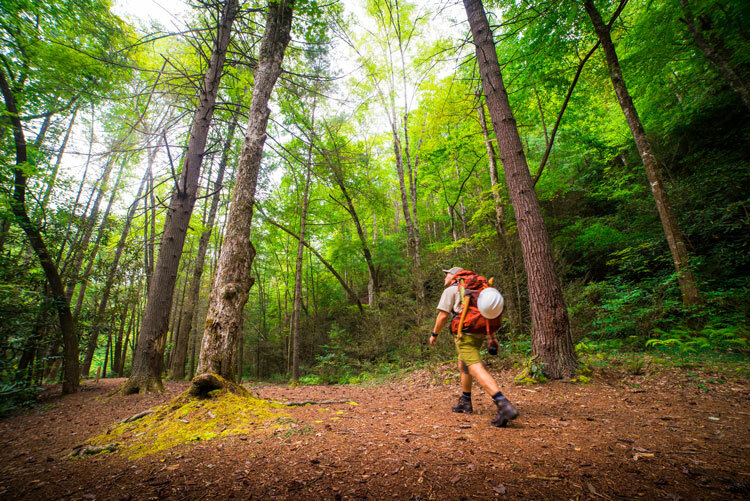 Within a few groups in Monroe County, the new Upper Bald River Wilderness designation was undesirable, an opinion formed on false information about the proposal. Road closures and hunting changes were a real concern for these men, but to their surprise, there weren’t going to be any changes. Hunting is still allowed in all wilderness areas, for example. They’d been misled about those issues, so we reviewed maps and language from the Act itself and finally straightened things out. Growing up in these hills has its benefits, not just credibility with the locals. I spent my summers at our family cabin fishing Citico Creek until the sun went down. In high school, after our football games, we’d drive up the Cherohala Skyway to camp or backpack. Later, I began paddling the beloved Tellico River. After traveling and moving away for college, I came back, planting my own roots and working to protect the Wilderness where I grew up. Fours years ago, I was working as a development manager for an out-of-state start-up when I met Laura Hodge. She was working with the Tennessee Wild campaign to protect the same areas I enjoyed in my youth. The passion Laura exuded for protecting those special, personal places in the Cherokee National Forest made us instant family. The experiences I’ve benefited from in these wild places left me with a debt I’m happy to pay. Eventually, I joined forces with Tennessee Wild as a second job, working on local campaign efforts in Monroe County while educating the public on the Tennessee Wilderness Act and the potential victory it could one day be for our county, state, and nation with its passage. Through my association with Tennessee Wild, I met Laura’s husband, Bill Hodge. 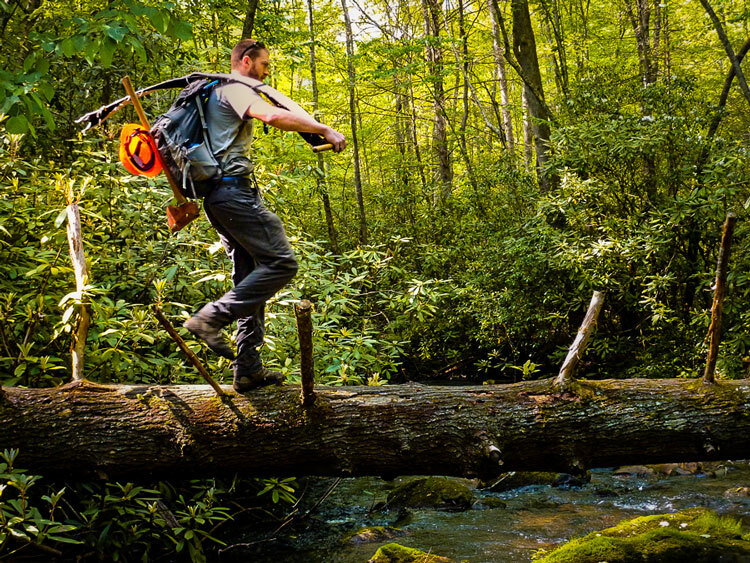 Bill started Southern Appalachian Wilderness Stewards (SAWS), a non-profit conservation organization that worked to engage young people in the protection and stewardship of Wilderness areas in the Southern Appalachians. In the early days of the Tennessee Wild campaign, a group of volunteers that maintained the Appalachian Trail in northeast Tennessee urged their congressman, Dr. Phil Roe, to oppose the designation. They argued that if these areas were to become Wilderness, the trail couldn’t be maintained by their organization, especially with the lack of involvement from younger generations at the time. This became the birthplace and launchpad for SAWS. Since 2010, SAWS has generated over 150,000 hours of service to Wilderness stewardship and employed and engaged over 150 young individuals. 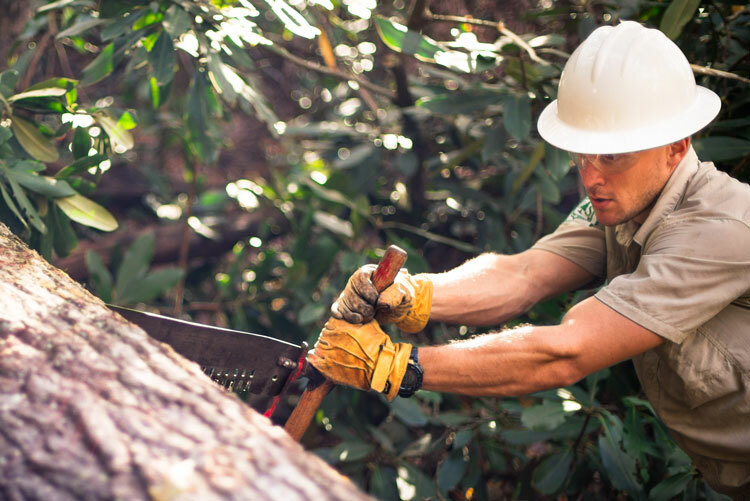 I’m one of those young people that now makes a living as a homegrown Wilderness Ranger & Outreach Specialist for SAWS in the Cherokee National Forest. It’s humbling to walk the same trails and carry the same tools that my great-grandfather did over a hundred years ago. My job allows me to connect with the locals and with those who’ve traveled here from near and far to experience these rich and wild places. Today, with the passage of the Tennessee Wilderness Act that many fought so hard for, places like the Upper Bald River Wilderness will endure for future generations. There are transformative experiences waiting to be had. From mountaintop to stream, it guarantees a place we all can enjoy, but its permanence isn’t only for us. It’s now an enduring refuge where natural processes dominate and sensitive ecosystems and wildlife thrive. 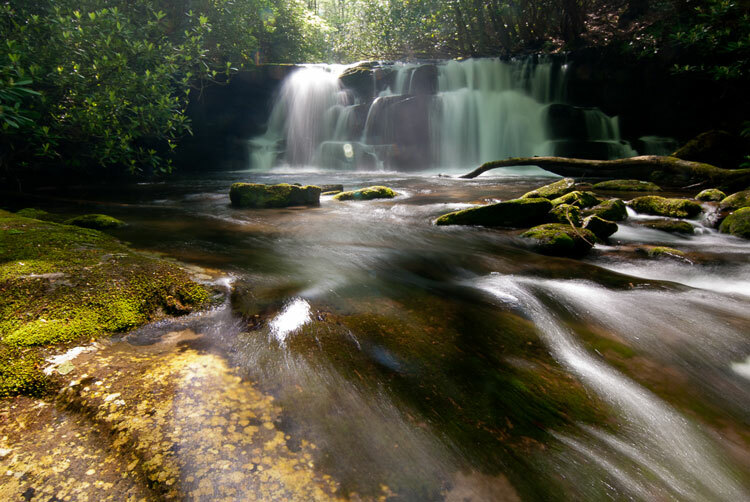 Downstream from the new Upper Bald River Wilderness sits the majestic Bald River Falls. Nearly the entire length of this river is now protected in perpetuity, allowing future generations to share in the same natural wonder that my great-grandfather must have experienced even as he worked to clear the surrounding hillsides of their trees. For these things, I am grateful. If you never get the chance to see your home county’s wildest places receive Wilderness protection, I hope you can live through my joy. Though we celebrate the victory of the Tennessee Wilderness Act, our work doesn’t end. Through the continued efforts of organizations like SAWS, the U.S. Forest Service and many others, our work goes on knowing the payout is far greater than any put in. I’m just glad you don’t have to be a fifth-generation local to reap its benefits because thankfully, it’s yours as it is mine. 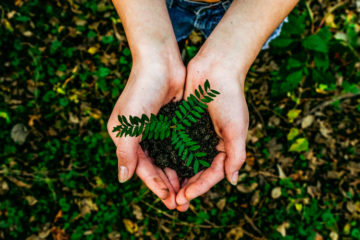 If you’d like to join efforts and get involved, visit wildernessstewards.org, follow along on instgram @wildernessstewards, or find us on Facebook.